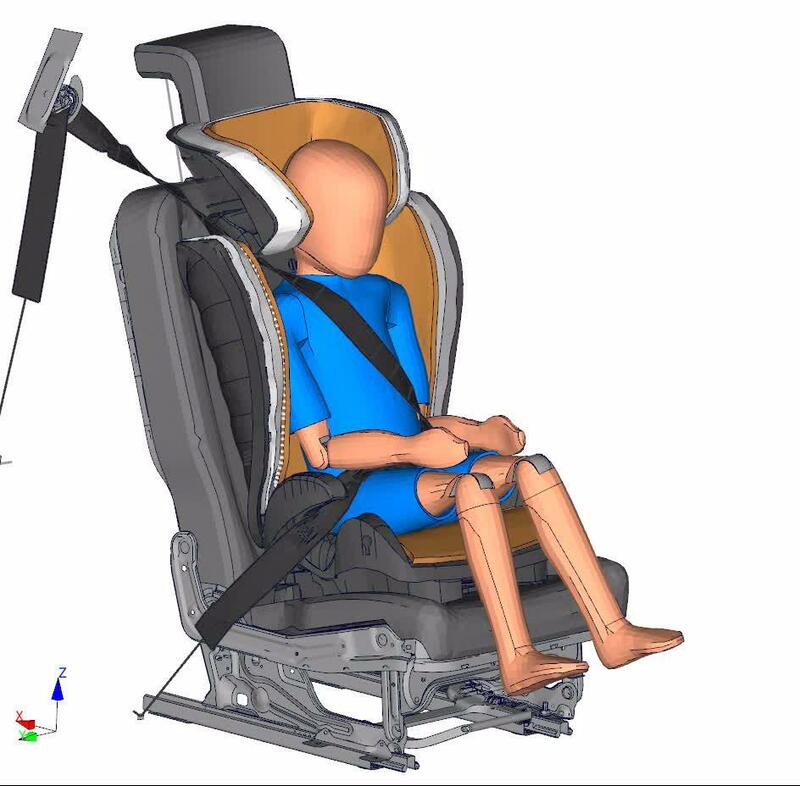 Child safety topics contain different load cases in second seat row and airbag adaption with child dummies in Out of Position simulations. Child seat models and dummy model of different ages are used. The ISOFIX system and the related model is an important component for design of occupant protection. Use of Q dummy models is routine for the IAT experts.